Get to know the people that want to make your Heron House and Heron House Court visit one you won’t soon forget. Utilizing our extensive hospitality and operations experience, our team consistently puts their hearts in ensuring your satisfaction. Jay was born in Beccles, England in 1969, her parents were talented Ballroom dancers and were eager to pass down the dancing bug. Dancing became a way of life and Jay began to win roles in shows such as The Nutcracker, Annie, Cats to name a few. Jay’s all round dancing talents were noticed by teachers and the community, so dancing and Ballet became her direction and future. While Jay was at The Arts Educational boarding school in Hertfordshire, England, she was chosen to tour with the Festival Ballet Company for 3 weeks, enjoying cities all across the country. After Ballet Collage in London Jay started to Travel the world dancing in Japan, Italy, Russia, France and many other countries. Then at the age of 21, she was accepted to be the lead dancer on board one of Holland America Line Cruise Ships. This bringing her to The United States. 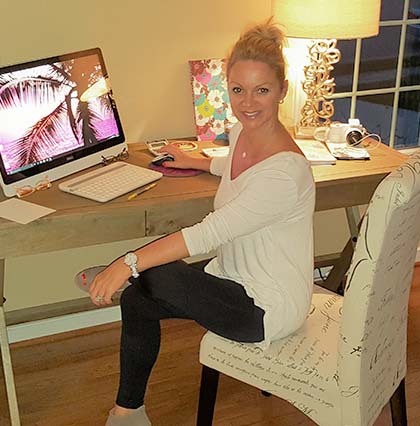 In 2000, Jay and her family moved to Key West, Florida, where they purchased our baby hotel, The Heron House Court, which Jay Managed for 4 years and learned a lot of tricks of the trade. It was an experience in management and organization. Jay is happy to follow in her father’s footsteps! “I am thrilled to be part of our family’s future. The Heron House and Heron House Court are my children and it is a pleasure watching them bloom,” says Jay. Roy and Christina Howard are proud owners of the Heron House and Heron House Court Guesthouse’s. Roy, a business man from Norwich, England, began his solo career in the motor trade and progressively began growing his business to rental properties on the quaint east coast of England. With a stable and successful business in the UK, Roy and Christina moved to Mallorca, Spain and enjoyed 5 glorious years living on the Island, before making the big move across the pond to Ft. Myers, Florida, where they lived for 8 years. In 1999 Roy and Christina ventured down to Key West after their daughter told them what a beautiful place it is to visit. 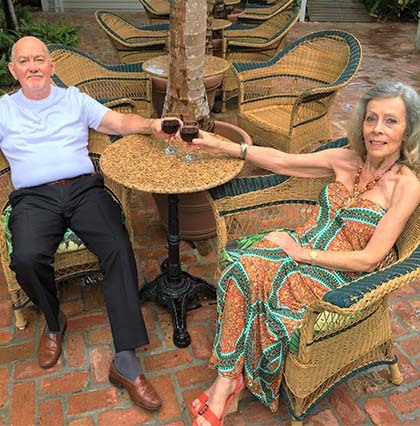 Roy saw the great potential in the Hotels and Guesthouses in Key West and soon after the family bought their first Guesthouse, they named it Fleur de Key. In 2005 they had the opportunity to purchase the Heron House. The Heron House was a well-established and known hotel in the Keys and so we renamed our small hotel, The Heron House Court. These days Roy and Christina enjoy living part time in Key West and the other cruising the world. ‘I am very proud of my hotels and family. And enjoy talking to our colorful and interesting guests daily,” says Roy. 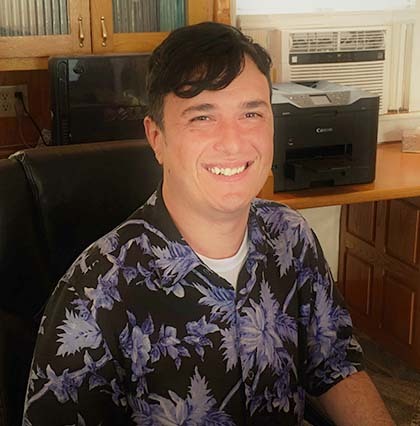 A native of Nashville, Tennessee, Trent began his career at The Heron House as a staff member in 2011. In 2016 he was promoted to General Manager. Trent is a graduate of Michigan State, with a degree in Psychology. He has lived in Texas and Kentucky. As a longtime Heron House employee, he brings a history of superb customer service skills and a reputation of great leadership to his position.